As a woman, most of us, if not all of us know about the importance of collagen. Collagen is the key when it comes to keeping your skin youthful and wrinkle-free. Collagen is supposedly a kind of protein produced by our body cells that “holds” the skin together, giving it firmness and elasticity. But as we slowly age, collagen production slows – and existing collagen can get damaged due to sun exposure and bad skin habits. The results? Wrinkles, fine lines and eventually saggy skin. 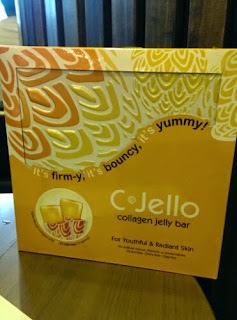 Luckily, there’s lots you can do to preserve your collagen and even boost its production... C-Jello.. 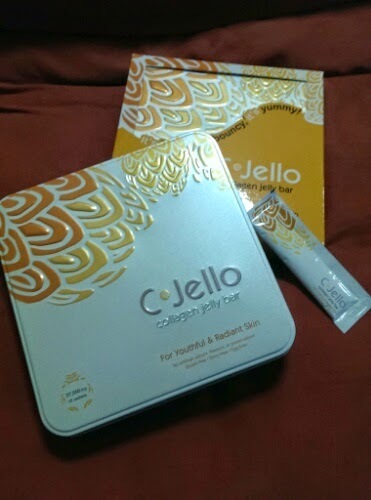 I first heard about C-Jello when a friend asked if I wanted to try it out. Naturally without a doubt I did, and so I embarked on a slightly over a week quest on trying it out. On the first taste, I fell in love. I am not one of those people who like health food. Usually they taste horrible. However C-Jello is really tasty and reminds me of melon flavoured jelly. There was really nothing unpleasant at all about the taste. C-Jello is a new collagen jelly bar that rediscover the touch of youthful , healthy and glowing skin through a non-invasive needle less method which is created by a Dr. 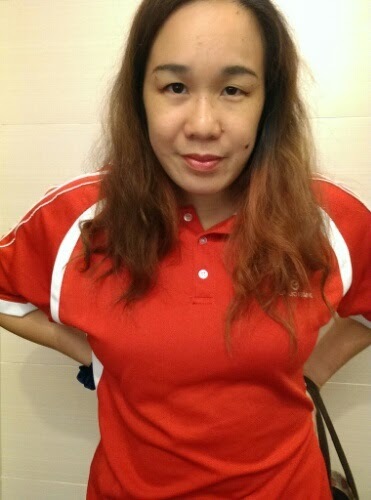 Au Yeong from Korea. C-Jello is the first in the world that forms collagen in a jelly bar made in Korea for effectively absorption in the Molecular level of the human body. 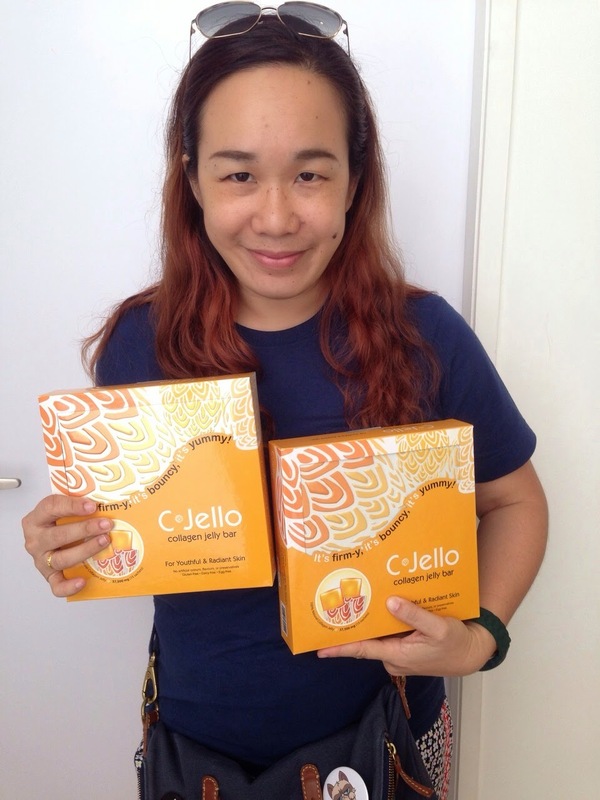 C-Jello contains 2500mg of collagen and essential nutrients that effectively slow down aging, boost youthful vitality, whitening, firming, toning, hydrating, antioxidant virtues in a 20g jelly sachet. C-Jello is a beauty goodness “snack” in a strip. 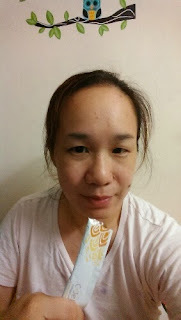 You can enjoy eating a snack, boosts youthful beauty and overall wellness at a go! It is easy to carry around and convenient. Natural flavour jelly strip to satisfy your beauty needs ANYTIME, ANYWHERE!!! SUGGESTED SERVING: For adults, take (1) one jelly sachet twice daily. Maximum (4) four sachets daily. For children age 7 to 14, take (1) one jelly sachet once daily. Maximum (1) one sachet daily. Age 15 and above, please follow the adult's dosage. But if you want faster results, you can try 2 jelly sachets in the morning and 2 jelly sachets at night like what I did. My complexion after one week is definitely much clearer. There is less pigmentation. 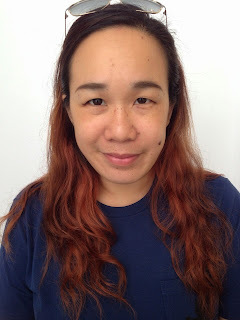 My mother also commented that my skin looked clearer. I cannot believe something this yummy can be so healthy!! !